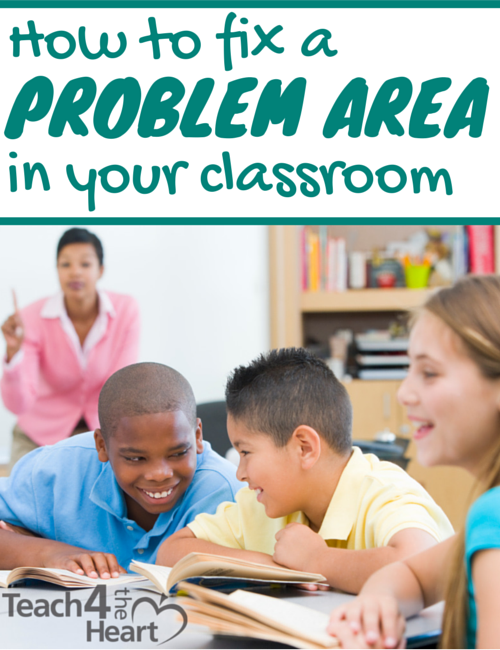 Do you have a problem area in your classroom? You know, that one activity where everything just seems to fall apart? Maybe you have trouble settling your class back down when they return from lunch. Or maybe things get a little crazy when you ask them to exchange papers. Often we find ourselves just trying to survive these hectic moments, but what if there were a way to actually fix these problem areas? The challenge is that students have developed bad habits. They’re used to the way things are, and trying to change things mid-year can be an uphill battle at best. That is, unless you force a reset. 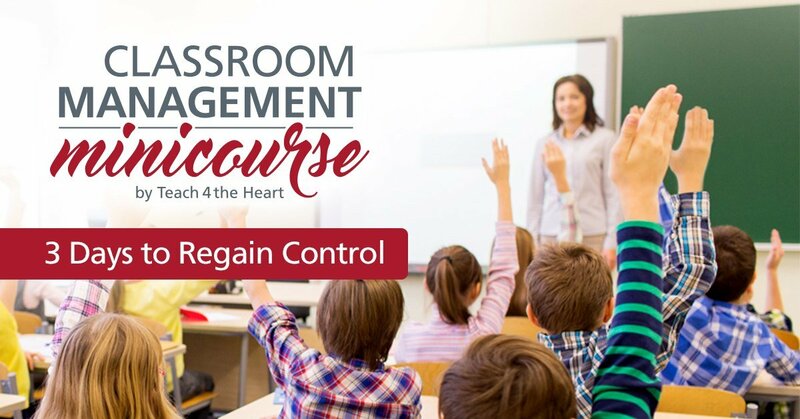 If you can do something to get their attention and SHOW them things will be different (as opposed to saying the same thing over and over and over and over), you can infuse a tiny dusting of that first-week-of-school magic back into your classroom – and actually get your students to change their habbits and fix that problem area. That’s exactly what we’ll do in the classroom shake-up. What is a Classroom Shake-Up? So what exactly do I mean by shaking it up? Well, let’s start with an example…. I was talking to a teacher recently who was having so much trouble with kids misbehaving as they were putting away their coats and bookbags at the start of the day. She’d tried a few things and nothing seemed to be helping, so I suggested a shake up. Her students usually hung up their coats and bookbags on a moving cart that lived outside their classroom. They showed up for school, hung up their things, and eventually made their way into the classroom. The problem is that they’re also very used to goofing off and causing all kinds of trouble. It’s part of the routine. Well, I suggested that the next day she hide the cart somewhere where the students couldn’t find it. Now imagine what will likely happen. The students will come in, look around for the coat rack, and be a bit confused. They might wander. They might ask lots of questions. They might even cause a bit of a ruckus. But here’s the kicker – she will have gotten their attention. After nonchalantly ignoring their inquiries for a few minutes, she can then gather their attention and explain the situation. The coat rack is gone because we were having way too many problems with it. Now, we’re going to try something new. From now on, instead of going straight to the coat rack, you will bring all of your belongings straight into the classroom. And she can go on, explaining in vivid, step-by-step detail exactly how she expects her students to behave. Once she explains what she expects, she will then be extremely vigilant as they go through this new process for the first time. She will correct any small misbehavior. She will address anything that is not done exactly as it should be. She will be kind, but she will be firm. She’ll continue her vigilance for a few days as her students get used to the new procedure. Until the problem area is no longer a problem. Now I realize that moving a piece of classroom furniture isn’t the answer to every problem. But there is some type of creative solution for yours. So here’s what you need to do….. Ask yourself, “what can I change that would shake this up?” What can I do differently that will show the students we are making a clean break from the old procedure and implanting a new one? Consider skipping part of your normal routine, removing something (relevant to the problem) from your classroom, or simply closing your door and not letting students in (get admin approval first). Make your move. Implement the change with a calm and controlled demeanor. Explain the new procedure. Be detailed about exactly what will be different going forward. Vigilantly correct every misbehavior or mistake. If you miss this step, you’ll be back to chaos in about 3.2 seconds. So don’t let anything go. Instead, be ready for that first misbehavior and correct it right away. Continue to kindly correct and instruct until the task has been done correctly. Have students redo the procedure if needed. If the students didn’t follow the new procedure correctly, have them redo it. It might feel like you’re wasting time, but you’ll actually be saving a ton in the future by showing them you mean business. Redoing the task will also help them remember the right way to do it. I LOVED IT… AND LEARNED A LOT, THANK YOU!! Wow, thanks for this!!! It’s just amazing. Good bless you!!! Do you have some wisdom for the teacher in a College classroom? My students are coming straight from High School so they still have some immaturity classic of the teenage years. This past school year was really a difficult classroom management year for myself, but also for my colleagues. I will implement this plan this September and tweak it for the audience, but if you have anything more to add for young adult learners, I would love some feedback. That’s tough because at college, it’s more on the student to choose to learn than in K-12. But you do need to make sure the environment isn’t so disruptive that other students can’t learn. Maybe try to focus on equipping them to create a classroom culture that will help them succeed. If it’s a big problem, it might be worth stopping and having a conversation. What do YOU need in this classroom? What can we do to help each other? Work to make it a place of mutual respect.